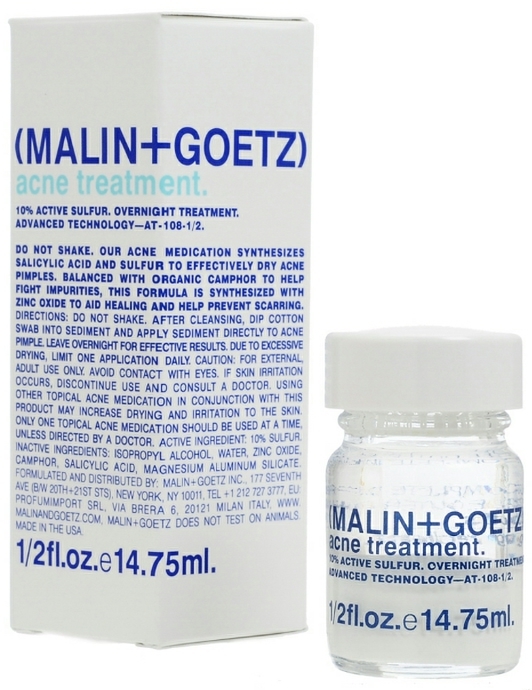 This is the worst thing for acne. Not only does it make it worse but it creates more. It increases the inflammation rather than decreasing it. It's doesn't kill the bacteria. It spreads it. The good thing about this product is that it does not irritate the skin in any other way. there is no itching, burning nor any drying properties. So it is easy to get away from this product with no problems. This silly product creates whiteheads and is just as bad as picking at your skin. Maybe this has to be used in conjunction with the test of the skincare line but on it's own is a total let down. There are a lot better products for half the price so do not waste your money on this.